As makers of the Stewart Pro-Treat original freeze dried treat, we know that peace of mind is important. Our quality standards with USDA-certified ingredients ensure that you’re feeding safe dog treats. 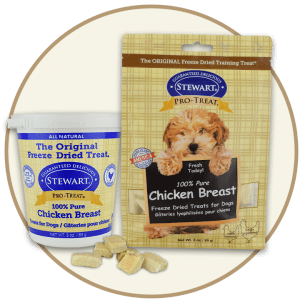 Stewart Pro-Treat all natural dog treats are single ingredient. That means these healthy treats for dogs are gluten free, grain free, additive free and packed full of protein. Plus, the treat tubs are long lasting providing a great value. Dogs love these crazy-delicious treats which makes them excellent for training. 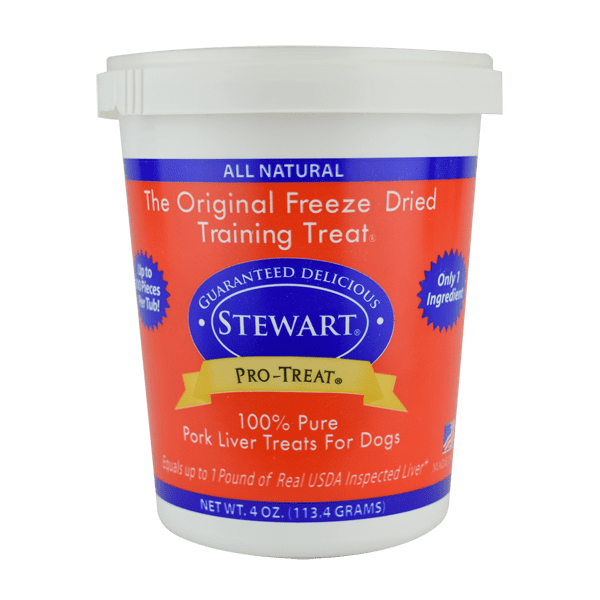 In fact, Stewart freeze dried liver treats for dogs have been the top choice of professional trainers for over 45 years. 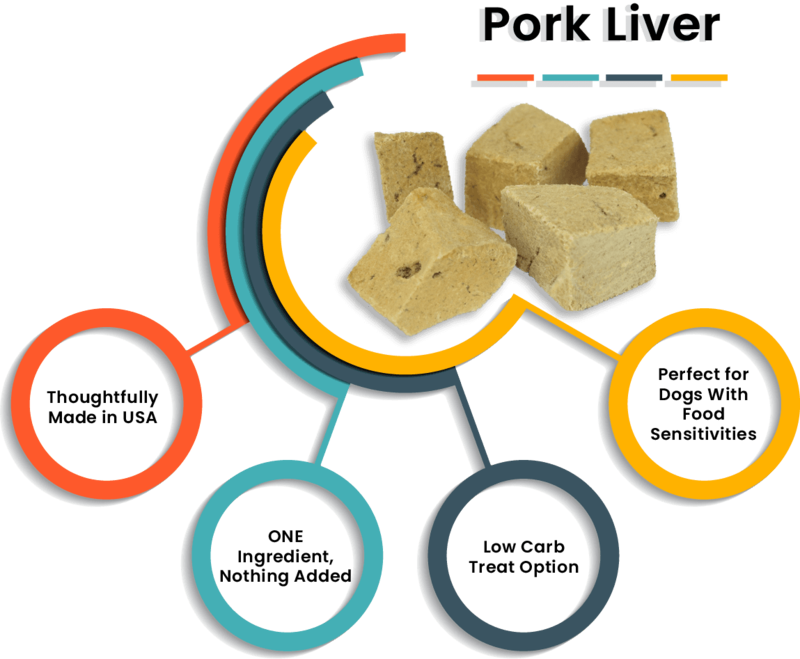 Our all natural liver treats for dogs are 100% pure pork liver allowing you to treat with confidence. Pork liver supports optimal health and is a good source of Thiamin and Manganese, Protein, Vitamin A, Vitamin C, Riboflavin, Niacin, Vitamin B6, Folate, Vitamin B12, Pantothenic Acid, Iron, and minerals. Supports healthy weight as pork liver is a leaner protein with less fat as compared with other proteins. Plus, it’s rich in vitamins and minerals. Made in the USA, thoughtfully sourced and produced in the heart of the Midwest. Gently processed, small batch dog treats. Single protein dog treats are grain free, gluten free, soy free, with no preservatives, no artificial colors, no additives and non-GMO. Best treats for training, preferred by vets, breeders, groomers and training professionals for over 45 years. Our dog treats are a good choice for food sensitivities, dogs with allergies or those on a limited-ingredient diet. Ideal for all size dogs. Stay fresh tub is super convenient. 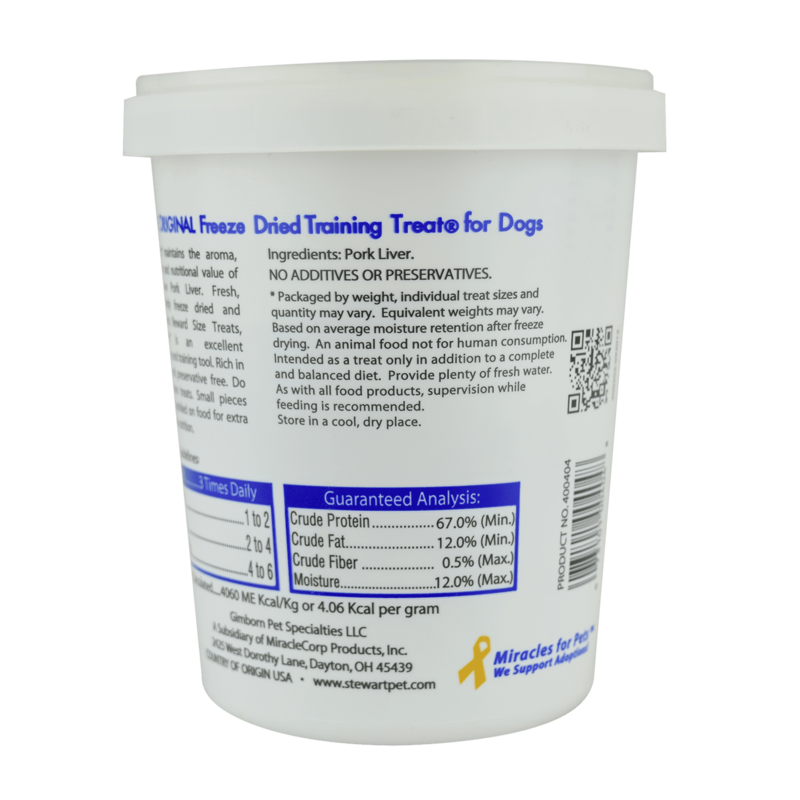 Watch your pups come running when you open our sturdy re-sealable tub! May be fed three times daily. Convenient diced reward size pieces are intended for intermittent or supplemental feedings. Have a bowl of fresh water available to your dog at all times. Tub: 2 oz., 4 oz., 12 oz. Our single ingredient, freeze dried Pro-Treats are available in seven other irresistible varieties. Click on each one to learn more. Tub: 2 oz., 4 oz., 14 oz., 12 oz., 17.5 oz., 21 oz. Resealable Pouch: 2 oz., 4 oz., 12 oz. 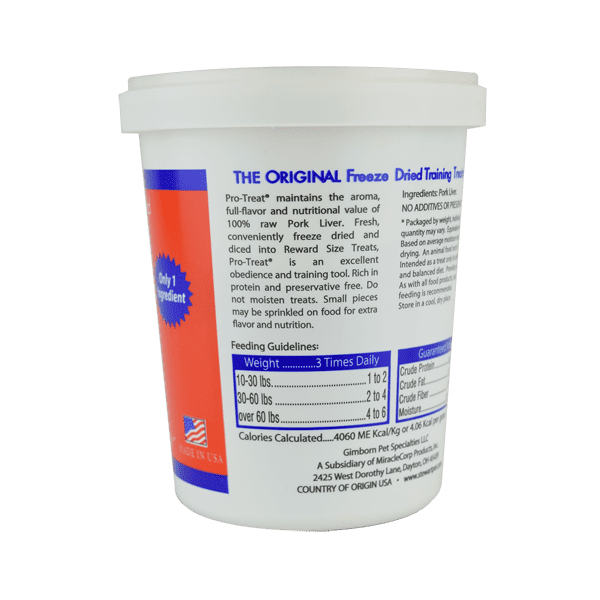 Tub: 4.2 oz., 20 oz. Tub: 1.5 oz., 3 oz., 11.5 oz. Resealable Pouch: 3 oz., 11.5 oz.